Winning strategies start with a big idea. Many business leaders subscribe to the classic definition of strategy as a set of actions designed to achieve an overall aim. In other words, they believe strategy starts with a goal. But for companies that have implemented winning strategies, that’s not how it typically happens. Take Microsoft: Looking back, it may seem that Bill Gates followed a straight path from a goal to dominate the software market for personal computers to building a company now worth more than US$300 billion. But Gates didn’t start with that goal — it came much later, after Microsoft was already well on its way to becoming a global powerhouse. First, there was Traf-O-Data, a business Gates and Paul Allen started in the early 1970s. It was based on a software program they wrote for Intel’s 8008 microprocessor to analyze information collected by traffic monitors on city streets. 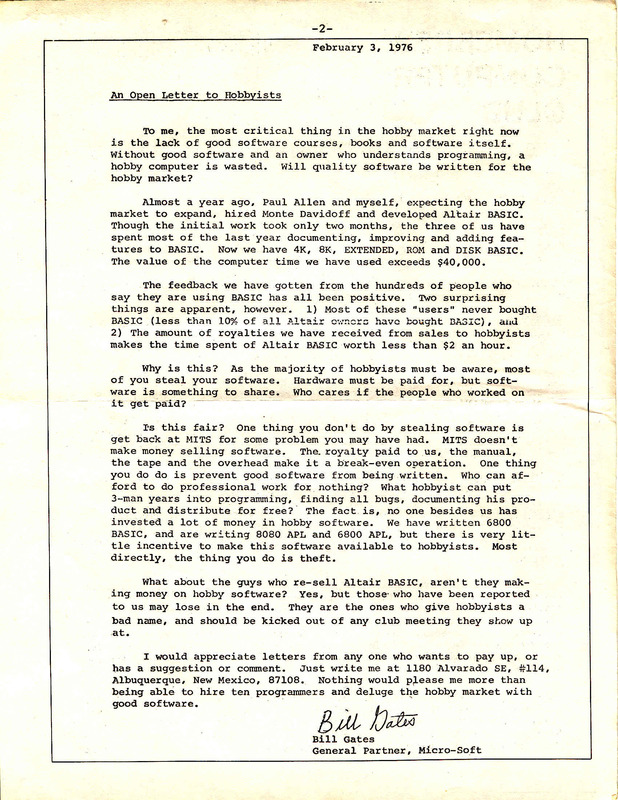 After this went nowhere, Gates and Allen wrote a BASIC operating system for the Altair 8800, the first microcomputer produced for retail sale. Gates wanted to sell the rights to this program to MITS, the Altair’s maker. What happened next changed everything. Much to Gates’s initial anger (which caused him to write an open letter that he later recanted), microcomputer clubs across the country began pirating copies of his software. In the process, however, they made it a de facto standard of the microcomputer industry emerging in the 1970s. From that point on the exploding population of PC companies came to Gates with their “pockets stuffed with money” when they needed a BASIC operating system for their products, as James Wallace and Jim Erickson wrote in Hard Drive: Bill Gates and the Making of the Microsoft Empire (HarperBusiness, 1993). Suddenly, Gates had his big idea: software interoperability across all makes of PCs. Around 1980, five years after Microsoft was founded, he changed his original strategy of selling software programs for microcomputers to licensing the MS-DOS operating system to the personal computing industry. It was only later, after Microsoft was well on its way to implementing Gates’s new strategy, that he was able to turn his vision of a computer on every desk into a tangible goal of having Microsoft’s operating system on every computer in every home and office. That is how most winning strategies happen: first comes the big idea; then a strategy to bring that idea to market; finally, a big, hairy, audacious goal to crystalize an ambition, motivate the troops, and excite investors. Unfortunately, strategic planning in most companies gets this sequence exactly reversed — and when that happens, bad strategies result. First comes the big idea; then a strategy to bring that idea to market; finally, a goal. There are two problems with putting goals before strategy. First, goals tell you very little about the fundamental choices you should make around creating customer and company value. Such choices are the very essence of your strategy. For example, if Gates’s original goal was to dominate the software market for personal computers, why would he start with Traf-O-Data? Why didn’t he seek to “roll up” the highly fragmented PC software boutiques that were popping up everywhere? Now fast-forward to today: PCs are becoming less central to home and office life, and so what fueled Microsoft’s success over the past 30 years is becoming tired. It would be very tempting for Microsoft to set a big new goal (perhaps “dominate the market for mobile software”? ), but that won’t work without some big idea that tells Microsoft what specific strategy it should pursue. In other words, before the company can have a goal for mobile computing, they need a big idea for mobile computing and a strategy for winning with that idea. The second problem is the opposite of the first. If some goals tell you little or nothing about what strategies to pursue, other goals effectively tell you too much. This happens when goals are expressed in terms of metrics, for example, to achieve a certain size, market share, growth rate, margin, or rate of return. Where do such goals come from? In the end, they are arbitrary, no matter how much they might be informed by benchmarking or past performance. And they have a profound effect on the direction your strategies take. For example, growth-oriented goals drive companies to chase high-growth markets even if they haven’t earned a right to win there. Companies with profit-oriented goals inadvertently underinvest in the capabilities that make them special — they cut costs to increase margin without regard to the effect on their capabilities, and they chase high-margin businesses whether they leverage their capabilities or not. Market share goals create a static mind-set of the market, thus causing companies to miss opportunities to disrupt and to react too slowly to disruptive forces. Some companies try to fix this problem by having a “balanced scorecard” of growth, profit, market share, and other such measures, but that just gives them a richer mix of the arbitrary biases these measures create when they come before strategy. Other companies try to fix this second problem by adopting goals that are broad enough to minimize arbitrary effects on the direction of their strategies, but that just takes us back to the first problem described above. As I wrote in previous posts, companies such as Ford, Netflix, Google, Puma, Burberry, Starbucks, and Cardinal Health transformed their industries with breakthrough strategies that started with a big idea. None of those strategies came from setting a big, hairy, audacious goal nor a specific, measurable one. Winning strategies rarely do.